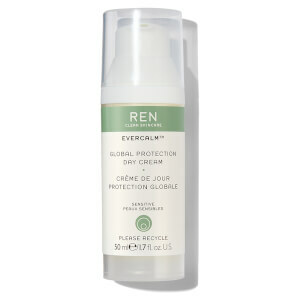 Treat your complexion to the REN Evercalm™ Ultra Comforting Rescue Mask; a ten minute treatment that works to calm and strengthen dry, sensitive skin by combating the damaging effects of stress, pollution and climate conditions. Harnessing the powers of Albatrellus Extract (White Mushrooms), the soothing face mask combats redness and inflammation, whilst Arnica and Reg Algae help to relieve irritation and itchiness for a soft, smooth and healthy-looking complexion. 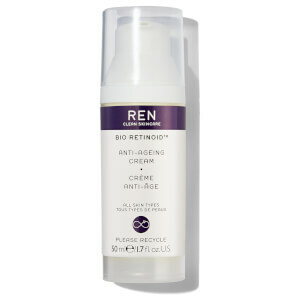 Defends against environmental aggressors to leave delicate skin feeling replenished and restored with improved tone and texture. Usare la maschera 3 volte alla settimana o quando la pelle ne ha più bisogno. Applicare una quantità generosa di prodotto dopo la detersione, evitando il contorno occhi. Lasciare agire per 10-15 minuti e rimuovere delicatamente gli eventuali residui con un panno inumidito con acqua fresca o con un dischetto di cotone.